In a best-case scenario, if a compressor goes down, an operator will call a service technician to come out and fix the problem. In the meantime, and depending on how long it will take for service to arrive and bring the compressor back online, staff will likely have to move food to another location. In summer months when refrigeration service companies are at their busiest, it can often take 24 hours or longer to bring a walk-in back into service. This can obviously result in huge volume of wasted food ingredients if operators don't dedicate time and labor to saving them. The other alternative is to build redundancy into a commercial refrigeration system. With a backup compressor system, service times and availability won't leave operators feeling helpless when a compressor goes down. A chef, manager, and/or engineer can perform a changeover while waiting for a service technician to show up, without sacrificing food or interrupting the flow of the operation. The Eco-Cool commercial refrigeration system is what can make this redundancy happen. The Eco-Cool offers an automatic changeover system that will automatically switch to a redundant, standby compressor whenever the primary compressor is not operational. 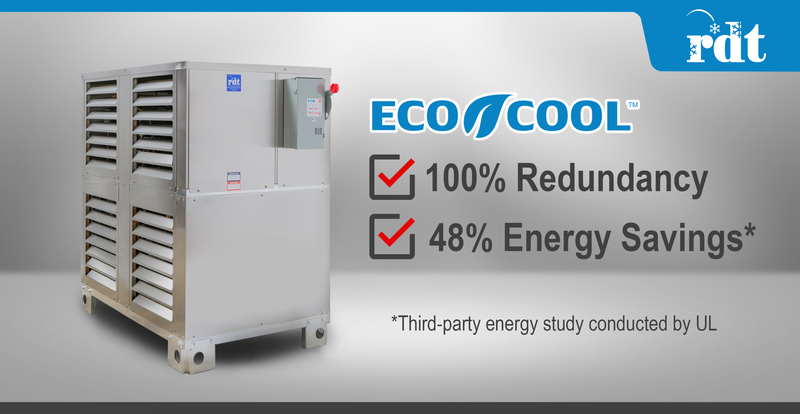 Not only will operations enjoy backup refrigerator and freezer capabilities with Eco-Cool, they will also experience energy savings of up to 50 percent. Even better, operations will use less copper piping and refrigerant during the installation because of the efficiencies built into the system. Would you like to learn more about the benefits of a redundant commercial refrigeration system while simultaneously lowering your energy bill by as much as half? Check out this award-winning video detailing the main benefits of the Eco-Cool system.